These are the several big markets popular with tourists. They are in the mornings only. Mostly the same stalls go to each of them. Albufeira's outdoor market is twice monthly on the first and third Tuesdays. It's next to the main bus station thus easy to get to from anywhere in town or nearby. 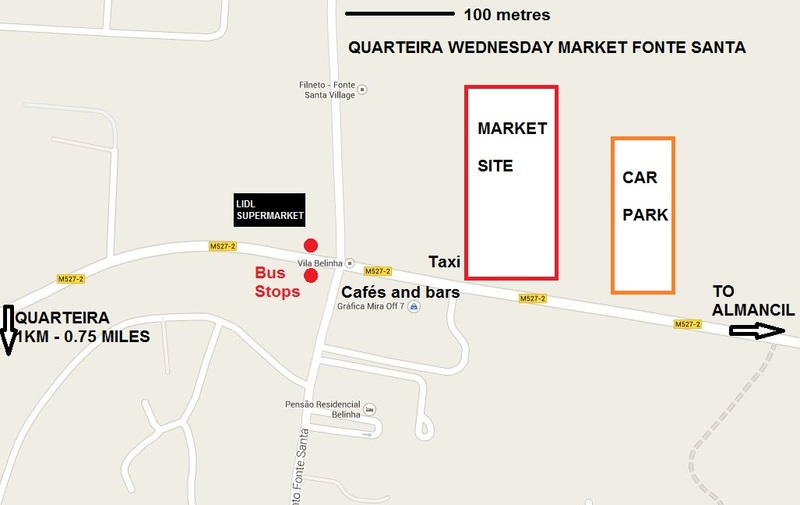 Location map for Albufeira market here. All buses in and around town go there. 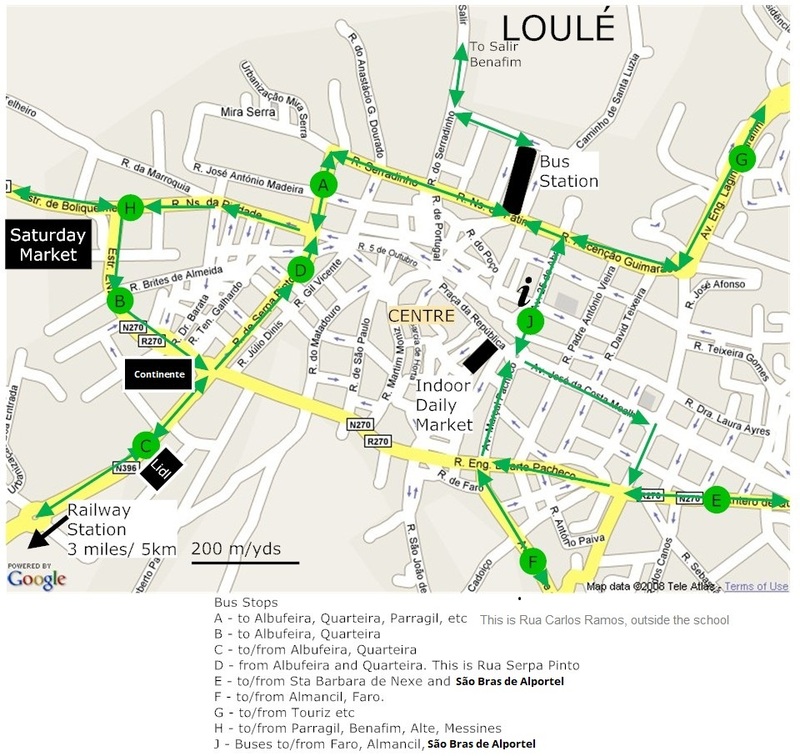 Loulé outdoor market is every SATURDAY - on the road to Boliqueime about ½ mile / 0.8km from the town centre. Quarteira outdoor market is every WEDNESDAY - this is about a mile / 1.6km out of town on the road to Almancil near LIDL. Local buses on the route between Albufeira, Vilamoura, Quarteira, Almancil and Faro stop about 50 metres from the entrance at a stop called Fonte Santa. Lagos outdoor market is the first Saturday of every month next to the municipal stadium. Many local tour operators run half-day trips to these markets. However in some cases the local bus will be cheaper and you can escape if bored! For and index of places and links to the bus timetables, please click here. Also, almost every community has an indoor market trading in the mornings during the week. These are signposted 'Mercado'. If market day coincides with a holiday, I strongly recommend you check locally before making a special journey. Most people will drive or take an excursion trip. If you wish to take the local buses from the Albufeira area, here are the details. Yes, there are two buses from Albufeira at 0930 and 1045! Times in italics are the faster Directa buses. All buses you need will be going to FARO. BUSES TO COME BACK TO ALBUFEIRA LEAVE THE STOP AT LIDL AT 1012, 1135, 1250, 1355, 1425 and 1507. There is also a local minibus from Vilamoura and Quarteira which stops at the same place by LIDL. The timetable is here, the stop is number 38 on the list ie the one served at 10 past the hour. It is though a very complicated route and they do not list the times at intermediate stops. Location map - click the map to see it full size. For bus times from the Almancil direction, please go to this page. Buses back here, these leave the market about 5 minutes after leaving Quarteira. Outdoor market on the first Saturday of the month next to the municipal stadium just on the edge of town. About 10 minutes walk from bus station or railway station. Bus times at Lagos www.algarvebus.info/lagos.htm - train times here. 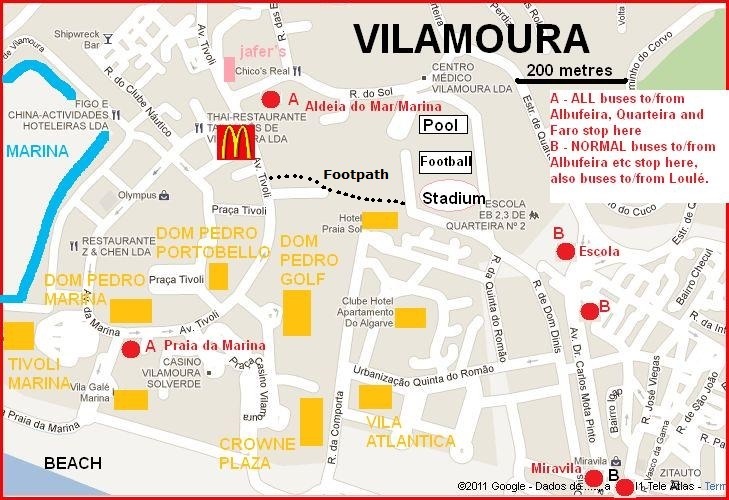 There is no bus from Vilamoura, but the bus from Quarteira stops a few minutes walk away on the other side of the stadium - map.